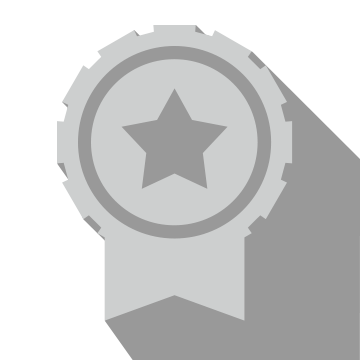 Not only are we price matching tires, but we are also beating that price by an additional 5%!!! 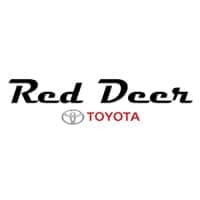 Contact us at 403 343 3736 or email us at service@reddeertoyota.ca for more details. Modified vehicles extra. 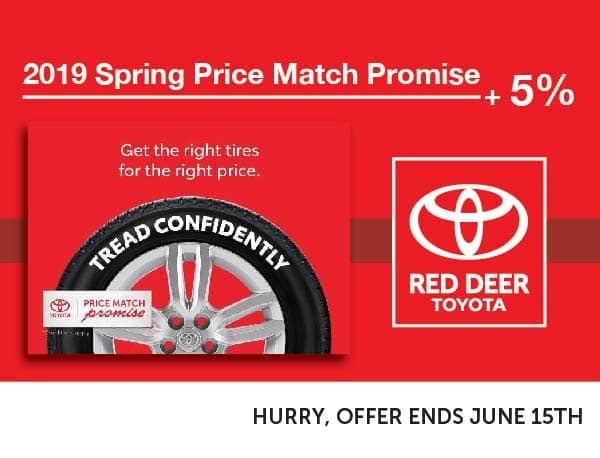 GST extra *Tire must be included on Toyota Canada tire program*. • COMPLETE INTERIOR SHAMPOOING OF FABRIC SEAT, CARPETS, FLOOR MATS, AND DOOR PANELS. • APPLICATION OF FABRIC OR LEATHER PROTECTANT. • THREE STEP PAINT RESTORATION PROCESS TO HELP RESTORE FACTORY PAINT FINISH. • SHAMPOOING AND DEGREASING OF ENGINE COMPARTMENT. • POWER WASHING OF WHEELS, INNER FENDERS, AND UNDERCARRIAGE. • TREATMENT OF RUBBER AND VINYL TRIM. • LUBRICATION OF LOCKS AND HINGES. Modified vehicles extra. GST extra. 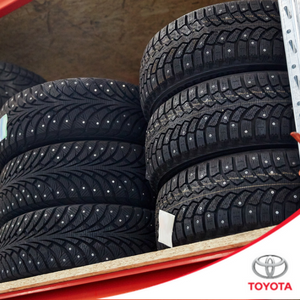 Store ALL SEASON tires for only $39.95 for the season! Lifetime warranty applies to parts only. 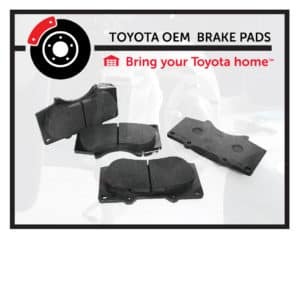 Original installation and any further work on the brakes must be done at Red Deer Toyota. 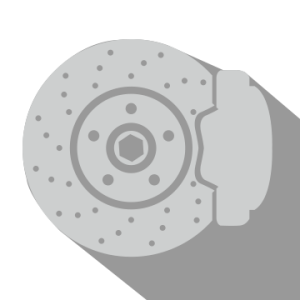 Brakes must be work to 3mm or less. Live Outside Red Deer County? If you live outside of Red Deer County, please ask about our Valet Service. Contact us for more details. 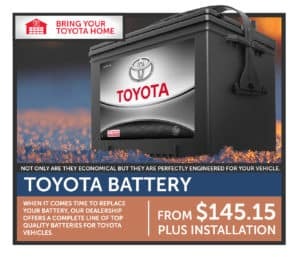 Offer available only for those who live outside of Red Deer County. Keep your fuel system clean of contaminants and deposits. 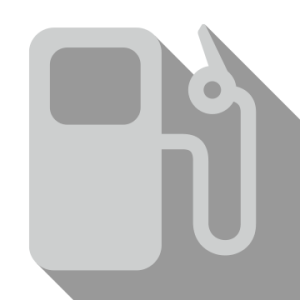 Your fuel economy will be maximized with a clean EFI system. We recommend this service performed every 80,000 kms.